Milkweeds, host plants to the famous monarch butterfly, support a variety of insects, making them power players in pollinator meadows. Rochelle and Becky, native plant specialists with the Maryland-National Capital Park and Planning Commission, have studied the natural community structure of meadows, where they have documented several milkweed species and the plants typically associated with them. 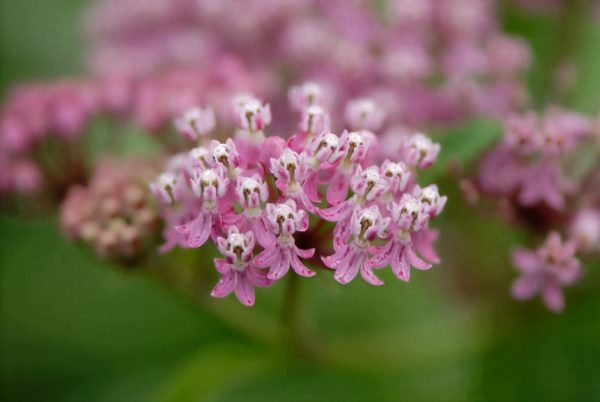 Learn how to mimic those plant communities in home gardens and how to propagate milkweeds on your own. A walk through Mt. Cuba Center's meadow highlights milkweed species suitable for your garden. Rain date for this class is Friday, July 19, 2019. This class qualifies for the following professional credits: 1 CNP credit with DNLA and 2 NOFA AOLCP. Two professional development hours (PDH) have been approved for this class through LA CES. This class meets LA CES standards for HSW subject matter.